The incumbent will be responsible to manage the linkage to care, initiation of HIV treatment and retention in care of beneficiaries diagnosed with HIV through the FIKIA project which a community-based HIV prevention program. s/he will work closely with the Project Coordinators in the designated regions to help achieve UNAIDs 90-90-90 goals along the cascade for targeted beneficiaries, including Key and Vulnerable Populations (KVP). • Develop work plans for the day-to-day implementation in assigned region toachievelinkage to and retention in care for beneficiaries who are diagnosed with HIV from community based testing efforts. • Monitor the uptake of HIV testing and treatment including test-and-treat strategies and identify gaps to improve uptake of treatment initiation, linkage to and retention in care. • Work closely with clinical implementing partners to coordinate activities, share data and work-plans to ensure continuum of care for beneficiaries reached or followed up in the community." • Support health care workers conduct post-test and pre-ART counselling with HIV positive clients, and help facilitate partner notification and index testing. • Support and mentor peer outreach volunteers regularly during outreach sessions to ensure adequate follow-up and support of HIV positive clients including tracking of missed appointments, defaulters, and loss to follow-up (LTFU). • Liaise with health facility staff to ensure HIV positive clients identified in the community and linked to facility are appropriately followed up and retained in care. • Track HIV positive clients that were transferred out to other facilities within the ICAP implementing regions and ensure that they are retained in care. • Work closely with M&E staff to ensure data on linkage and retention collected by the program are accurately captured, and support CTC2 data extraction to enable follow-up and reporting on linkage and retention. • Improve feedback on referrals from health facilities and overall strengthen the continuum of care between community and facility interventions. • Perform any other relevant duties as assigned by the supervisor. Non-medical personnel with a Bachelor's degree or higher in the following fields: Public Health, Sociology, Psychology, Social Work, Gender Studies, or Community Development. • Minimum 2 years' experience working directly with people living with HIV, providing counselling or other prevention and treatment services. • Preference given to those who have additional experience working with Key and Vulnerable Populations (KVP) for HIV prevention and care. • Familiarity 'with MOH tools on HIV care and treatment such as CTCl and 2 cards, registers and database. • Ability to maintain confidentiality regarding clients' health status and sensitive information contained in data sources. • Ability to adapt to situations quickly and problem solve . 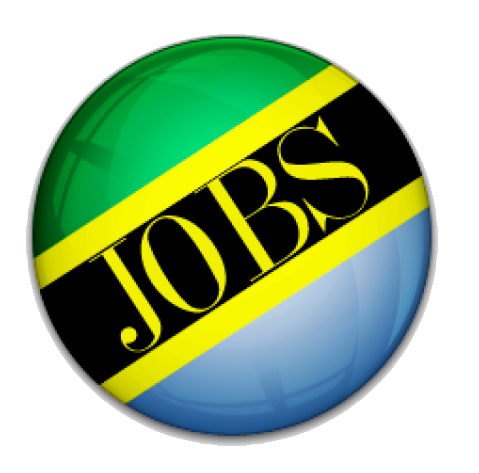 • Must be a Tanzanian Citizen; preference given to candidates already living in the job location region. Qualified applicants should send their cover letter and CV by 10th November,2017 via email to icap-jobs-tanzania@columbia.edu, mentioning in the subject line the Position Title and Job Location. Only short listed applicants will be contacted. Please do NOT attach any certificates when submitting online. ICAP is an equal opportunity employer; women are encouraged to apply.